Obesity and related health problems are a leading preventable cause of death in America. But for many people, gym membership fees are a barrier to getting in shape. The Trust for Public Land is working to bring free Fitness Zone® areas to parks across the nation, creating a fun, accessible, and social environment where people can enjoy getting fit. 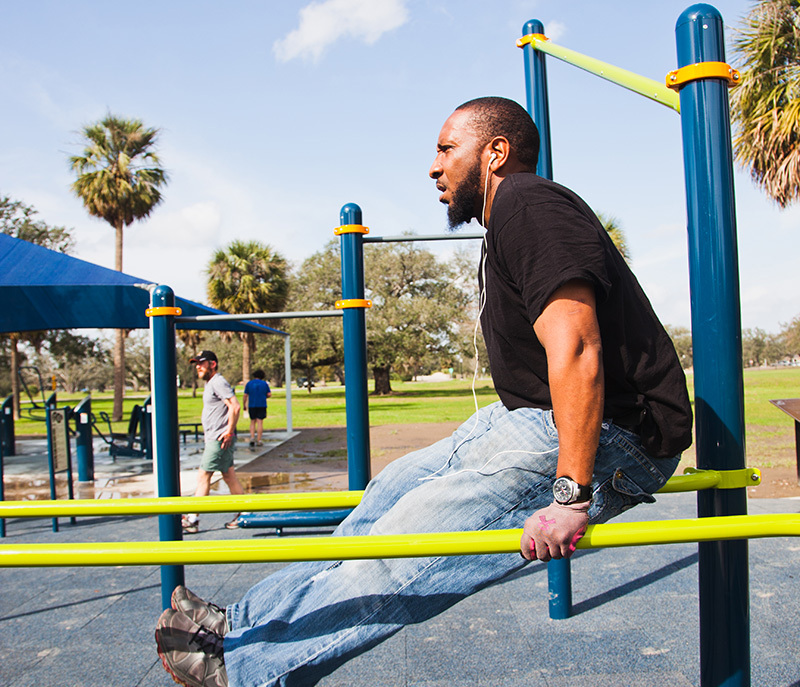 In New Orleans, The Trust for Public Land helped create a Fitness Zone® area in City Park, one of the nation's oldest urban parks. It is double the size of our standard Fitness Zone with 13 pieces of exercise equipment to meet the needs of the many people who visit the park daily for exercise and recreation. It also provides equipment designed specifically for use by children, making it easier for whole families to exercise outdoors together.